The Origin Vets’ team have a wide experience of zoological collections of all sizes. 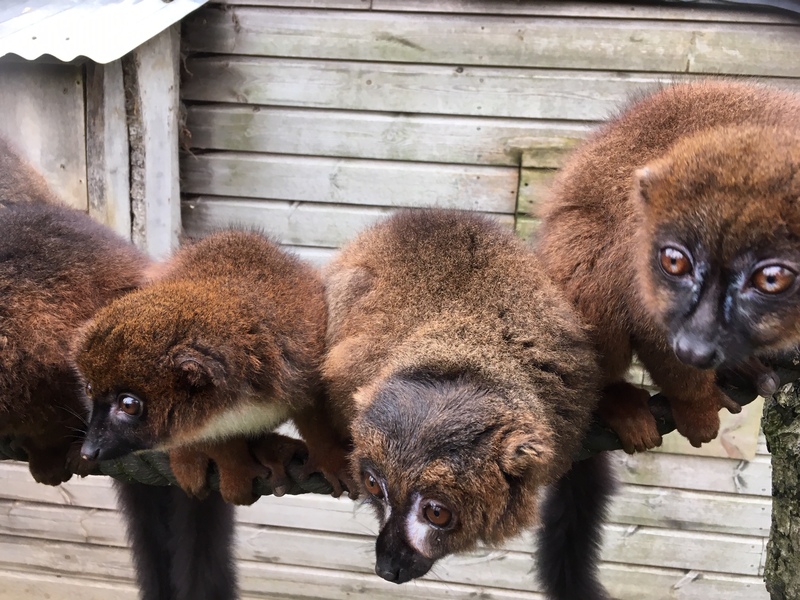 These can vary from small private collections, falcon breeding centres, wildlife rescue centres through to full-sized zoos and we can offer veterinary packages appropriate to the size and scope of your collection. Farmed ‘exotics’ such as alpacas and reindeer also fall within our scope. Typically our service to you will include veterinary attention to your animals where needed, routine visits (the frequency of which will be agreed upon at the time we are officially engaged), reports and telephone support. We can help with biosecurity issues plus the veterinary and husbandry management of your collection and aid in your compliance with legislation such as the Zoo Licensing Act 1981 (Lance is a UK government appointed Zoo Inspector), Dangerous Wild Animals Act 1976 and the Balai Directive. We can act as Official Veterinarians for the import and export of livestock where necessary. We have members in the European Association of Zoo and Wildlife Veterinarians. Our day-today work places us in an excellent position to aid and advise local authoriries and government departments with zoo and non-domestic animal related issues. We can offer professional services to fish farms of all types; Lance is approved for Section 30 Health checks. Origin Vets has several higher education establishments as clients. We can offer specialist veterinary preventative and clinical clinical care for the range of animals typically kept for student experience for Animal Care courses and are happy to help with student questions too. In the first instance contact Origin Vets on 0333 800 9828. The vet must have been given the responsibility for the health of the animal or herd by the owner or the owner’s agent. That responsibility must be real and not nominal. In emergency or interim situations and with clients with whom we have up to date knowledge of their facility and stock based upon a provision of regular visits, if we feel it is appropriate we are able to prescribe medications following telephone discussion (which may also include acceptance of images or video footage at the discretion of the veterinarian) of the animal in question. To receive such a service the facility must have an existing arrangement with Origin Vets to provide routine visits of a frequency appropriate to the size of facility and the number of animals held or bred. Some of our larger zoo clients have weekly visits while some of our smaller wildlife rehabilitation centres have bi-annual visits. Visit frequency and cost are arranged following a visit to your centre. Free telephone advice is available to clients who receive routine visits by Origin Vets. If a client is not registered with Origin Vets, or our contact with that client is such that we feel we cannot comply in good faith with the legislation, then we will be unable to accede with medication and advice requests and a consultation or a visit will be required.